Join the IIDA PA/NJ/DE Chapter as we celebrate the start of the holiday season and the end of another year with an epic night of merry masquerading in Philadelphia! 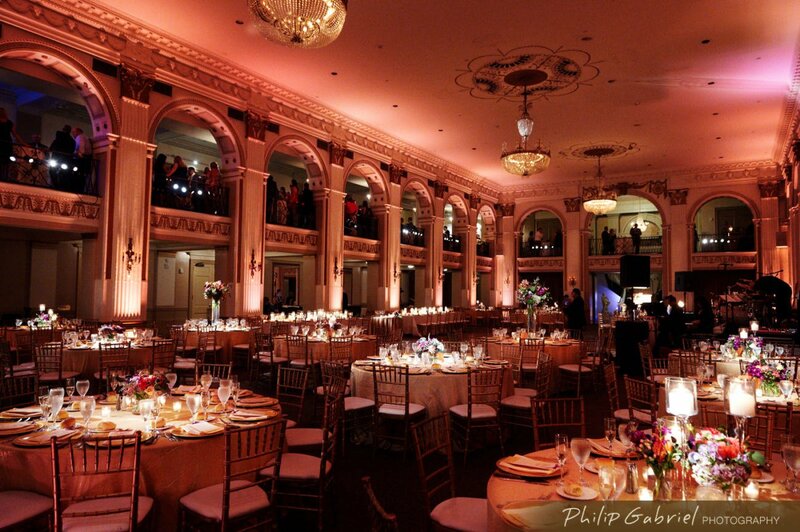 This year's party is at The Ballroom at the Ben - a gorgeous space with exquisite chandeliers, European ambiance, and turn-of-the-century elegance in Philadelphia. We are excited for another evening full of great company, food, drinks, raffle prizes, and holiday spirit. There will be live DJ entertainment and our ever-popular photo booth, as well. 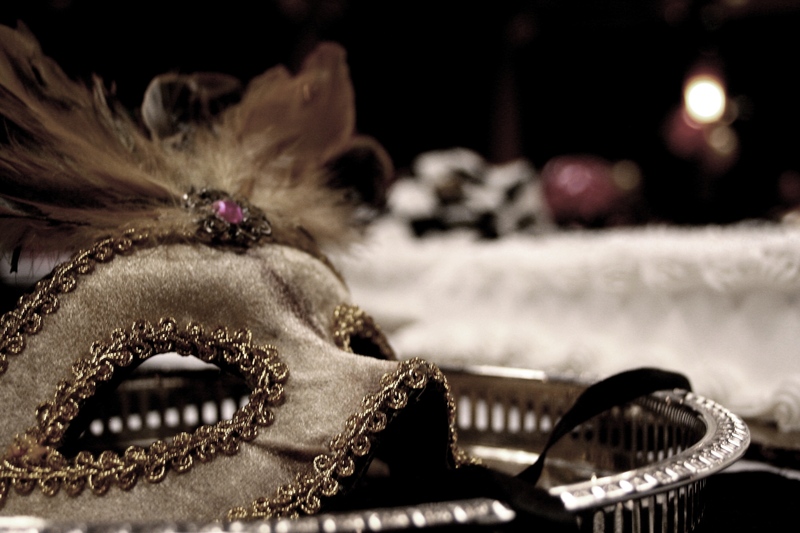 Masquerade attire is encouraged! PURCHASE YOUR TICKETS IN ADVANCE. SPACE IS LIMITED AND THIS EVENT WILL SELL OUT. THERE WILL BE NO TICKET SALES AT THE DOOR OR OFF EVENTBRITE. THERE WILL BE NO ADMISSION WITHOUT A TICKET. ONLY THREE (3) TICKETS MAY BE PURCHASED BY A SINGLE INDIVIDUAL. THERE ARE NO EXCEPTIONS. YOU WILL BE REFUNDED FOR ANY PURCHASES MADE MORE THAN THE ALLOTTED AMOUNT. ALL IIDA MEMBER TICKET PURCHASES MUST BE ACCOMPANIED BY IIDA MEMBER NUMBERS FOR EACH TICKET RECIPIENT. YOU WILL BE REFUNDED FOR ANY IIDA MEMBER TICKET PURCHASED WITHOUT A MEMBER NUMBER. Want to become an IIDA member and get all the great membership benefits? Click here! This holiday season, we are again collecting unwrapped toys and gift cards for childred in need for the Support Center for Child Advocates. We are focusing on the teenager age group (between the ages of 13-18) with our donations. Gifts should be new and unwrapped when donated. If your gift requires batteries, attach an unopened pack to the gift. CLICK HERE FOR GIFT IDEAS. For each donation you make, you will be eligible to receive raffle tickets for an opportunity to win some amazing prizes. Raffle tickets can also be purchased with cash. Prizes include gift baskets, experiences, events, gift cards and more! With 4 different levels of sponsorship this year, plus an opportunity to donate prizes for our annual toy drive raffle available, there are a variety of ways that you can support the 6th year of this Chapter tradtion and spread some holiday cheer! We are calling for raffle prizes for our event attendees: We are looking for gift baskets, spa experiences, sporting events, restaurant gift cards, etc valued at $50 and up. Please consider items other than furniture pieces. Attendees can purchase raffle tickets with cash or by donating toys for children in need. Just like last year, toys being collected for the chance to particpate in the raffle will be donated to children ages 13 - 18 invovled with the Support Center for Child Advocates (www.advokid.org). For any questions, please contact the IIDA PA/NJ/DE Philadelphia City Center Director, Julianne Peters, at iidapnd.phlcitycenter@gmail.com.